I spent my professional career at Northern Illinois University, where I taught History of Art, published scholarly books and articles, and received several awards for excellence in teaching. The classes I offered ranged from surveys (Pre-history – 17th century, and also Northern European Renaissance) to specialized courses on the History of Illuminated Manuscripts, Images of Women, Bosch and Bruegel, German Art of the Renaissance and Reformation, and Early Italian Renaissance. During my years at NIU, I also developed an absorbing interest in Italy – Rome in particular – and designed an overseas program where every spring for 6 years I accompanied a group of students on a month-long study program in Rome. 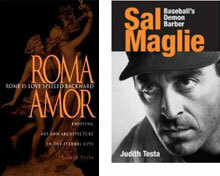 In 1998, I published a book for travelers called Rome Is Love Spelled Backward. Enjoying Art and Architecture in the Eternal City. After a career devoted to teaching, talking and writing about art, during retirement I returned to a childhood love: baseball. The result was the publication of a biography of a star pitcher from the 1950s, a sinister, almost satanic-looking righthander named Sal “The Barber” Maglie. The book, titled Sal Maglie. Baseball’s Demon Barber, was published in 2007 and won an award from the Society of Midland Authors as the best biography of 2007. Another book of mine came out in August of 2012. Its title is An Art Lover's Guide to Florence. It's available from the Northern Illinois Press and from Amazon.com. 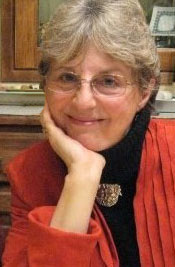 Now I live in St. Charles, Illinois, but spend several months each year in Italy – in the city of my soul, Rome – and continue to write about Italy for the Chicago area Italian American newspaper “Fra Noi,” where you can read some of my articles, blogs and book reviews.